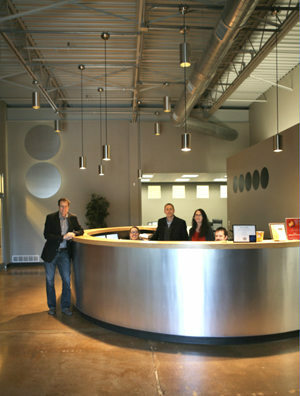 David Atkins, President of Argosy Console, Inc.
”It’s really serendipitous how Argosy got started. I was actually in the clothing business, but with retail chains cropping up, it meant that the days were numbered for our small family-owned ‘mom and pop’ store. I had to think of something else to do! I grew up in the era of rock n’ roll and The Beatles: and I remember getting a Tiesco guitar when I was in the second grade. Somebody showed me a couple chords and I thought I was a real guitar player. As a teenager, I worked in bands and actually filed my income taxes as a professional musician. I thought, ‘I’m gonna be a rock star’. 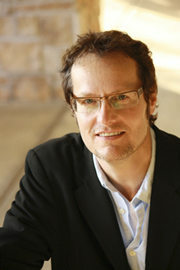 “After high school I attended one of the first classes at the Recording Workshop in Chillicothe, OH. That was the late 70’s, and it really opened my eyes to how cool the studio environment was. Everything was analogue then, and it was an amazing feeling to be sitting at a large–format console and outboard, listening and being in control. The Workshop had some terrific Grammy winning composers, engineers, and producers speaking there – I look back at that now and know that was pivotal for me. So the next thing I thought was, ‘If I can’t be a rock star, then I’ll be a famous record producer‘. coming out of the back and everywhere else. She just shook her head… Since there was just nothing on the market that I thought looked ‘professional’, I literally went out to the garage, and with my limited woodworking skills, I started designing my own cabinet to drop my Mackie 8–Bus into. I had no idea at the time that this might lead to where our company is today! “This first desk had a bridge to put monitors on, just like the pros had, and I wanted it to have that ‘big studio’ feel. While I was building it, my neighbour who owned a kitchen–counter top company that sold veneers and stuff, came by. When I asked him for advice about the finish, he asked, ‘how many are you gonna make?’ That’s when it occurred to me that someone else might want one of these. “I phoned one of the recording magazines and asked how much it would cost for a classified ad. Instead of just giving me a price, the woman asked me what I wanted to advertise. When I told her, she asked for a picture to include in an article that they were doing on studio furniture. 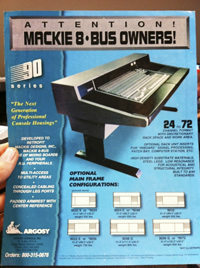 Where it all started — the Mackie 8-Bus housing. When the article actually came out, my desk was featured with a footnote that said: ‘Make your Mackie 8–Bus look like an SSL’, along with the phone number for my clothing store. Just from the article, we started getting two or three inquires a day. One of the very first customers was Chuck Surack from Sweetwater Sound, who ordered one, sight unseen, prepaid on a credit card. He said, ‘Are you just going to take my credit card number and I should trust that it’ll be OK? Let me explain a few things about business...’ At that time, we were so young and didn’t know what we were doing, and Chuck befriended us and really helped us out. He’s a great guy and he’s been down to the factory since then and has given us his input on new designs. “Then I got a phone call from a guy who said, ‘I’m building a studio for a group called Boyz II Men and they need a console’. One of our engineers and his dad drove that thing, fully assembled in a trailer, out to Pennsylvania. Those early Argosy models were made one at a time, fully assembled, and they were the size of a small automobile, in a big crate! If you needed to get it through a normal doorway, you’d have to disassemble it and take it in a piece at a time. When we got a phone call from a customer in New York saying ‘I can’t get this in the elevator,’ we were inspired us to redesign the desk to ship flat in a number of boxes to be easily reassembled. Now customers could have full–format consoles in studios with tight spots and narrow passageways which wouldn’t have been possible before. We ended up on the cover of EQ magazine, with Boyz II Men sitting at our desk, and a week later we get a phone call from Jon Anderson from Yes. 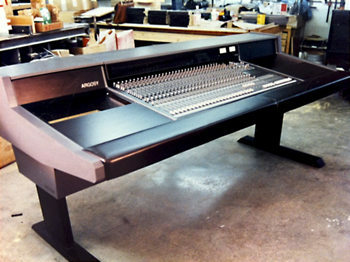 He ordered a console that housed 72 channels of Mackie 8-Bus and a stack of ADATs! I got to spend a weekend hanging out with those guys, musicians that I really admired, and I really wanted to do the very best job that I could, because they were putting their trust in me, and that meant a lot to a kid from the mid-west from a relatively sheltered background. “At this point I probably had three other people working with me on this product, all effectively unpaid, because they all worked in the clothing store. Tim Thompson [now Argosy VP] was one of them. We were still a very small operation and we had the manufacturing outsourced to these two guys who worked in barn in a small country farm town — so if it snowed, there would be a delay; if it got too hot, they would have no electricity. We had many growing pains, but we also had the luxury of learning how to do his business while we were doing it, because nobody had ever done it before. “Other companies started making high-quality desktop mixers, so we started designing models for the Yamaha 02R and the rest of that series, as well as the Mackie. 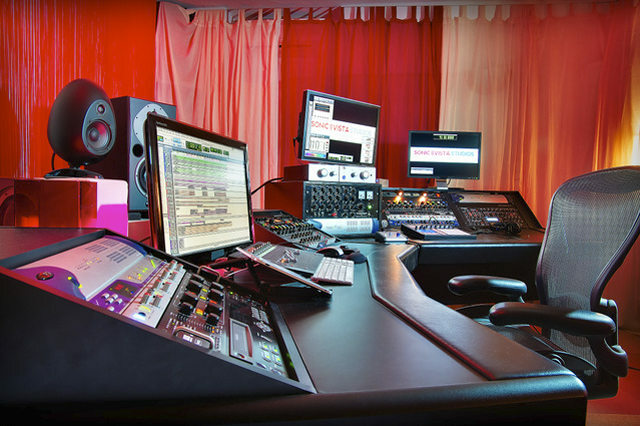 We could have diversified into other products, but, for me, the console is always the heart and soul of the studio — that’s where the emotion is: that’s where the transformation of electronics and gear into art takes place. I liked the idea of creating an environment where people wouldn’t be distracted by wondering if something was going to work, and where everything was tidy and clean and you could just listen and focus. That’s where the company name came from: I was thinking that Medusa — that monster in Greek mythology with snakes for hair — was kinda like a console with all these wires coming out of it, and somehow it lead to the name ‘Argosy’. The word ‘argosy’ means a boat — a merchant vessel, or fleet of vessels — and I thought there was a good analogy there, in as much as you entrust your livelihood to it in putting all your stuff in it... so that was the name we chose. And it begins with an A! “From our beginning in October 1994, we delivered three consoles before the New Year. In the first full year I think we sold about 55 units, and we were thrilled at that, but in the next year it was 150, and the following year 250, and now it’s of course, much more. And we make a lot more stuff too. We’ve gone from three people and two part-time packagers to about 15 full-time employees now. We went from a garage, to a basement, to a shopping-mall basement, to our own facility, which started out as about 5,000 square feet, and they kept adding on to it a bit at a time until we had about 18,000 square feet. Then an actual manufacturing plant — an old shoe-making plant — with 30,000 square feet, real electricity and a loading dock became available. We purchased it in 2008 and completely renovated it, and that’s where we are now. At that time, with the economy so unstable, it was the worst possible time to be making that kind of investment and I’m really grateful for the team of people we’ve got, because we are kinda risk–averse: we have too many families depending on us to allow ourselves to be too leveraged and to take chances. But we had a great relationship with our bank and although we’ve gone up and down, like other businesses, we’re still here: we’re still in business. “During the difficult times when the market changes — you have to work harder and provide more service, and you have to listen harder. We are really fortunate to have people like [Senior Product Specialist] Nancy Greer and [Vice President] Tim Thompson and some people in the front office who are just amazing. It wasn’t too long before we had competitors — there was a company in California that started making a kind of knock–off. But I wasn’t too worried about that — it was almost an endorsement. It’s like implying that we are on the right track. And my father gave me a lot of good life lessons, like ‘don’t pay attention to what the competition is doing: let them pay attention to you.’ ‘Do your own thing.’ ‘Treat people right — do the right thing’. ‘Know what you’re good at and concentrate on that”. The Argosy team today — David Atkins, Sarah Merriman, Tim Thompson, Nancy Greer, Merv Weaver.